The highly-anticipated Star Trek: Discovery began streaming this week on CBS All Access and Netflix outside the US. 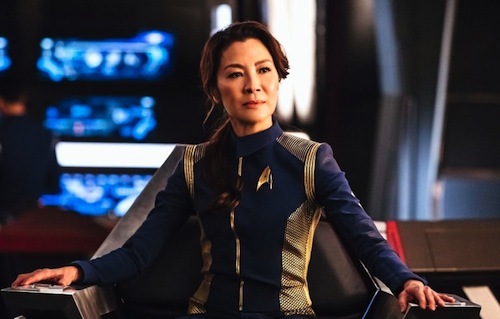 This is the first new Star Trek television series since Enterprise ended in 2005 and much is riding on its success in the wake of JJ Abrams' cinematic reboot. So, how did Discovery fare against previous pilot episodes in the franchise's 51-year storied history? “The only word to effectively describe it is…. 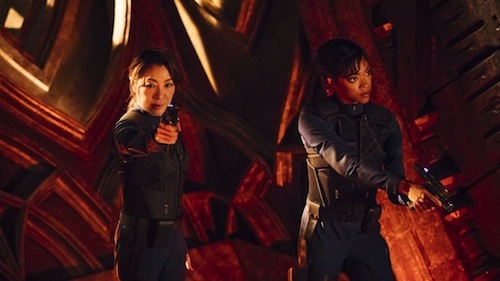 wow.” These are the words of Commander Michael Burnham (Sonequa Martin-Green) and the two-part season premiere is better than Encounter at Farpoint, which aired 30 years ago this month. 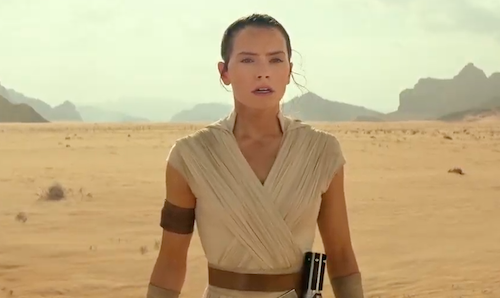 The pilot opens on a desert world in a scene reminiscent of Rey scavenging parts from a derelict Star Destroyer on Jakku in Star Wars: The Force Awakens. Clearly, the producers are aiming to expand the fanbase with the help of the Force. 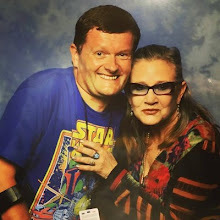 Of course many fans (myself included) follow both franchises, but I welcome the change of pace aping the cinematic reboots of Star Trek and Star Wars under the auspices of JJ Abrams. 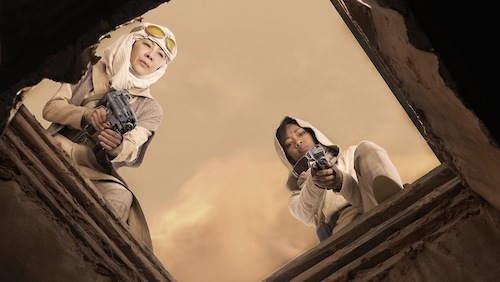 Some fans may decry the lack of exploration, a central tenet of original series creator Gene Roddenberry, in favour of a more militaristic tone so early in the series. However, this prequel feels more like the lauded Star Trek: The Next Generation episode Yesterday's Enterprise with hints to the Mirror Universe. Sci-fi is at its best as allegory and Discovery deals with the real and present danger of isolationism. The Federation's actions are difficult to empathise with as it goes to war with the Klingons. It's a darker tale with a flawed protagonist. Yes, Star Trek has been in this territory before in Deep Space Nine and Voyager, but never so morally grey. This is Star Trek post Battlestar Galactica and it's frakking awesome. Sorry not sorry. There are lens flares aplenty and a gorgeous stellar backdrop eclipsing the film series in a fashion I didn't foresee on the small screen. From a space walk borrowing heavily from Marvel's Iron Man and 2001: A Space Odyssey to the futuristic interior of the USS Shenzhou with its android crew member and voice assistant (now integral to our daily lives as foreshadowed by Star Trek: The Next Generation). 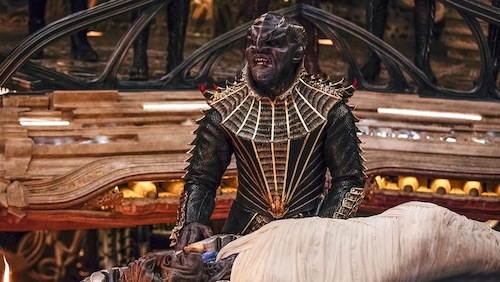 Shiny Star Trek is shiny and replete with fun Easter Eggs that longtime fans of Gene Roddenberry's franchise will appreciate. Minor niggles mostly pertain to editing, clunky dialogue (technobabble doesn't trip off the tongue), and use of music. Elements that can be fixed going forward and early previews suggest episode three is even better. Continuity hounds may baulk at a prequel that looks more advanced than the original series chronicling the voyages of the USS Enterprise commanded by Captain James T. Kirk. After production woes which witnessed the departure of series showrunner Bryan Fuller, review embargoes and beginning life as a series solely to launch CBS All Access in the US. It’s great to see an energised (pun intended) Star Trek streaming on the small screen in an aspect ratio befitting the big screen with cinematography by Oscar-winner Guillermo Navarro (Pan’s Labyrinth). With prestige dramas such as Game of Thrones and Westworld dominating social media and watercooler conversations. Star Trek needed to be rebooted on the small screen. It's early days, but this second prequel series is already much more fun than Enterprise ever was and we haven't seen the titular starship in action. A second season is already greenlit from what I've heard. What seemed to be nothing more than a troubled production routed in a beloved sci-fi series that began in 1966 has culminated in something mythological and awe-inspiring. To quote Captain Jean-Luc Picard in Encounter at Farpoint: "Let's see what's out there..."